We follow a highly disciplined approach to financial advisory in terms of adherence to best practices, commitment in executing a professionally managed process and allocating always the best suitable internal resources, led by senior partners and always in the search of creative, tailor made solutions. We strive to build close and long-lasting client relationships by making our client’s objectives our own, escorting them from A to Z not only in their strategic decision-making process but also during and after implementation, with a clear goal to add long-term value for our clients. A success-based compensation and abdication of proprietary trading guarantee the strict alignment of KBR’s and its clients’ interests, ensuring free-of-conflict advice. 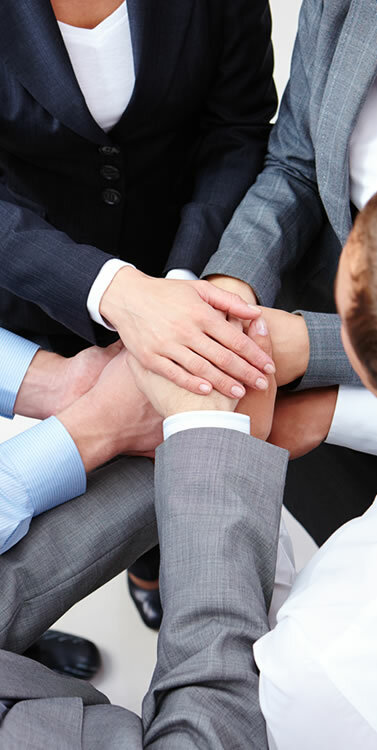 We are one group, supportive of each other’s efforts, with open communication and know-how across all offices. We offer a healthy balance between international coverage and regionally-focused sensibility, covering the DACH region, Spain and LATAM. Discretion is a key component in every aspect of our work, which we strive to preserve in every step of the deal. We show strong commitment to what we promise to achieve while maintaining the highest ethical and moral standards. If you want to inquire, you can do so through the contact section. We will contact you as soon as possible.